AP LIT - Huh? Tragedy? In his piece, Before the Law, Franz Kafka uses a parable to provide a commentary about man’s inherent complacency in the face of authority. In the story, a traveler comes to the gate that leads to the law. He asks for admittance, but the gatekeeper turns him away. No matter what the traveler does, the gatekeeper continues to tell him about the terrible gatekeepers that he would have to face if he dared to enter. The gate is open the whole time, but the traveler refuses to actually challenge the authority and decides to complain instead. It is apparent that the traveler is too afraid of the possible repercussions of disobeying the rules, so he does nothing. 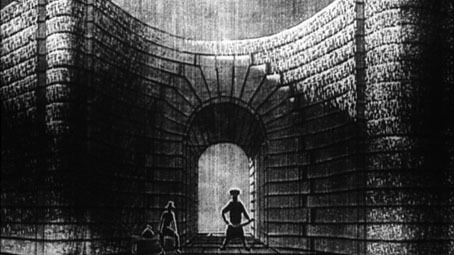 At the end of the parable, the gatekeeper states, “No one else could ever be admitted here, since this gate was made only for you.” Kafka is trying to show that everyone encounters their own obstacles and the only thing that is holding you back from overcoming that obstacle is your own willingness, or lack thereof, to challenge it. Antigone is the opposite of the traveler. She is faced with a law that she knows is unjust, but instead of unhappily obeying authority, she challenges it. Just because a person in power tells you that something is true does not mean that it is. Antigone made this realization and passed through her own symbolic gate to bury her brother. Unlike the traveler, Antigone was not afraid of the implications of her rebellion, and she ended up paying for it with her life. Antigone reinforces Kafka's point that the only thing that can stop you from achieving your goals is yourself. Antigone was strong enough to overcome these obstacles. She refused to let someone else tell her how to live her life. 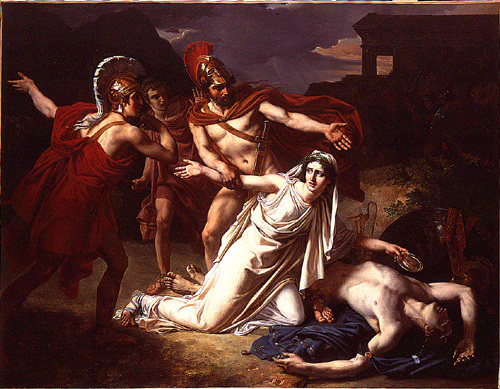 Antigone, by Sophocles, continues the tragedy of Oedipus Rex, but the way that the tragedy occurs is very different. Oedipus does his best to try and stop fate from ruining his life. Conversely, Creon decides to heed the warnings of his advisors and prophets which ends tragically for him. On page 69 of the story, the chorus states that “Creon has shown there is no greater evil than men’s failure to consult and consider.” In this way, Sophocles is trying to tell the reader that pridefulness will end in tragedy. He wants to teach them a lesson. Even a king must rely on the opinions of others because no one is omniscient. At the same time, there is still hope in the end. Creon learns his lesson and decides to forgive Antigone for her crimes against the state. He is too late and loses his son and wife in the process. Much like what Shakespeare does in many of his plays, Sophocles is able to teach the protagonist of their story a lesson before their darkest hour. It is interesting to examine the different ways that Sophocles uses the characters in this tragedy to exemplify problems that he sees within his own society. It is apparent that his goal is not only achieving catharsis in his audience, but also teaching them how to be a better person. For example, on page 33 of Antigone, Creon says “Money: nothing worse for people ever has sprouted up and grown current.” Clearly Sophocles is using Creon to explain that money is the root of all evil. Additionally, on page 49, Haimon states the “it’s no shame even for a wise man to learn and to relent.” Here, Sophocles is reminding the reader that their are always opportunities to learn. He is explaining that vanity is shameful and that pride shouldn’t come between a man and the right decision. Tragedy Blog 6: Are we in control of our own decisions? The TED Talk, “Are we in control of our own decisions?” is both terrifying and stimulating. On one hand it is very interesting to think about what influences our decision making, but on the other it is terrifying to think that we are not really in control of our lives. In the presentation, the Dan Ariely gave an example of a study where people chose option A over option C because option B made option A look like a better deal. On the surface, this seems like a rational decision, but at it’s core I believe that it says a lot more about our human nature. In essence, we are always looking for the next best thing. Our decisions reflect this. The problem is that we don’t actually know our preferences. It turns out that we can be easily manipulated by the environmental pressures that surround us. ​ Ariely states that “intuition fools us even after we are shown reality.” He used an optical illusion to illustrate this fact, but it pertains to many more than just simple illusions. In Oedipus Rex for example, when Jocasta tells Oedipus of Laius’ death, Oedipus knows that he is the murderer, but tries to come up with excuses for his actions. He did all that he could to stop the prophecy from coming true. He thought he was making conscious decisions to stop himself from killing his father, but in the end he failed. It makes one wonder if his decisions were really his own. If there is no such thing as free will, then there was nothing Oedipus could have done to stop his fate. It can be hard to accept this notion, but at least in Oedipus’ case, it was true. The Tragic Fallacy by Joseph Krutch both reaffirms my previous ideas and introduces me to new ways of thinking about tragedy. In reference to tragedy Krutch states that to “confuse it with things merely miserable or pathetic, it must be a paradox that the happiest, most vigorous, and most confident ages which the world has ever known-the Periclean and Elizabethan-should be exactly those which created and which relished the mightiest tragedies.” By this, Krutch is explaining that tragedies are not miserable or pathetic, but they deal with the triumph over life’s constant despair. Tragedy is popular for a reason. As the other articles also explained, people like tragedy because it reminds them of the tribulations that they deal with in their own life. At the same time, tragedy provides hope and a possibility of victory, but in most cases it ends in failure which in turn evokes some kind of emotion in it’s reader. 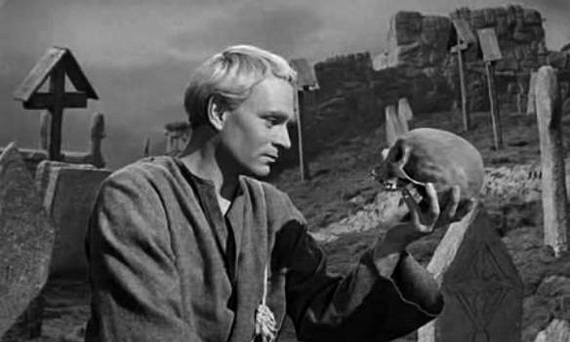 In The Tragic Fallacy, Krutch uses Shakespearean examples to explain that in tragedy, the characters do not die without reason. 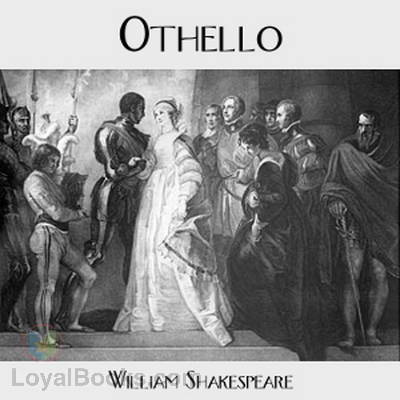 In Othello, he “plunged the dagger into his own breast, but not before he had revealed that greatness of soul which makes his death seem unimportant.” This was an aspect of tragedy that I had not considered before. The character that experiences the tragedy also learns an important lesson about themselves or the world around them because of that tragedy. 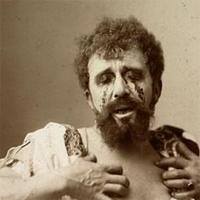 Even in Oedipus, after the terrible things that he has done, Creon is apprehensive about killing him. In a sense, Creon shows Oedipus compassion even after Oedipus has clearly failed. Even though he has lost, he is not a loser. Oedipus Rex, by Sophocles is a tragedy in every sense of the word. Oedipus is a man greatly revered by his countrymen. He is seen as the one that will restore Thebes’ good fortune. However, he has been trying to escape a prophecy his whole life. The prophecy states that he will kill his father and marry his mother. As the play goes on, Oedipus realizes that even though he did not mean to, he fulfilled the prophecy. “I suddenly felt dizzy, listening just now. My thoughts are racing everywhere,” stated Oedipus on page 46 realizing what he had done. The tragedy of the story is that he tried so hard to stop the prophecy, but his best efforts ended in failure. Sophocles’ goal of catharsis is achieved through the terrible misfortune that befalls Oedipus at the end of the story. While sophocles uses a hero and not a commoner to tell his story, many aspects of Oedipus are highlighted in Arthur Miller’s Tragedy and the Common Man. For example, Oedipus’ unwillingness to remain passive when he faces his terrible prophecy is something that Miller explains is vital to a tragedy. Also, there is hope throughout the story. As Miller points out, “The possibility of victory must be there in tragedy.” In the end, victory is not what Oedipus finds, but it was not out of reach. On the final page of Oedipus Rex, the chorus sums up the story in a few lines. In reference to Oedipus the state “What a flood of grim misfortune overwhelms him now! Thus we learn how necessary seeing the final day is for judging mortals blest. Otherwise refrain. Happiness means ending life without being crushed by pain.” In essence, Sophocles means to show the reader that even the mightiest of heroes experience misfortune no matter how hard they try to stop it. In this case, fate was one step ahead of Oedipus, but Sophocles wants to remind his audience that in the end there is always something to gain from failure. In the TED Talk “A kinder, gentler philosophy of success,” Alain de Botton talks about how our own views of success are not really our own. We deem things as successful if society says that they are. I know that if I hear the word success I usually think about someone that has a nice house and is probably a doctor or lawyer or a CEO of a Fortune 500 company. This isn’t my personal belief, but it is what I have been conditioned to think based on the environment around me. It is important to realize that the conventional versions of success that are portrayed on TV aren’t the only way to achieve success. Alain also talked about how we live in a meritocracy. While a true meritocracy where everyone could work hard and become successful would be nice, it does not exist. Instead we have a system where those on top feel that their success is deserved and, conversely, those on the bottom feel like their failure is also deserved. When talking about a meritocracy people seem to only acknowledge that you deserve the success that you attain, but there is a downside to that form of thinking. For every person that deserves their success, there has to be a person that deserved to fail. This where tragedy comes into play. Failure is a theme that is frequently used in tragedy. Tragedy was originally used as an art form to track how people fail. Nowadays, we are so afraid of others judgement, failure is not an option. At the same time, you cannot be successful at everything, so you will eventually fail. 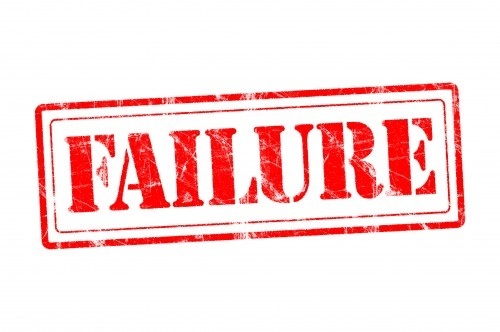 It is important to keep in mind what Alain de Botton meant when he said “you are not a loser, but you have failed.” Pick yourself up and learn from your mistakes. Failure does not have to become a tragedy, but it does need to be an opportunity to make yourself a better person. 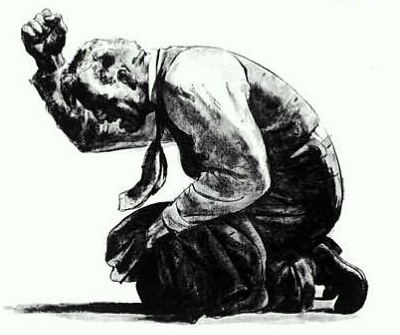 In Tragedy and the Common Man, Arthur Miller explores the common misconceptions that most people have about tragedy. He states that “the inevitable conclusion is, of course, that the tragic mode is archaic, fit only for the very highly placed, the kings of the kingly.” In my experiences, most people think of tragedy as works by Shakespeare or the Ancient Greeks. The problem with this conclusion is that the common man has cherished tragedy above all other forms. If it was true that tragedy was reserved for kings, then how could this be true. Throughout the article, Miller explains that in tragedy, the protagonist is trying to regain their “rightful position in society.” This theme is what captures the mind of the audience and what makes tragedy so popular. The struggle of the common man to find their place in society is something that everyone can relate to, and it is this that makes tragedy so appealing. Miller also discussed the misconception that tragedy has it’s roots in pessimism. Miller writes, “This impression is so firmly fixed that I almost hesitate to claim that in truth tragedy implies more optimism in its author than does comedy, and that its final result ought to be the reinforcement of the onlooker’s brightest opinion of the human animal.” This quote is what resonated the most with me. For me, when I think of tragedy I usually think of something sad. Most of the time the story itself is sad, but if you look deeper, you will find that their is hope. When their is the possibility to fail, there's the possibility to succeed. Tragedy Blog 1: Huh? Tragedy? Before we began exploring tragedy, I thought of tragedy as a sad event or story. After I started to research some more, I realized that it was so much more than that. In the past, I have read tragic stories such as Shakespeare's Hamlet and Romeo and Juliet. When I read those stories I knew that they were tragedy, but that was where my knowledge of the subject stopped. When I began reading the wikipedia page about tragedy, I began uncovering more and more. Tragedy is one of the oldest forms of storytelling mainly because life is hard and everyone can relate to loss or sadness. In ancient times, the Greeks would write tragedies and perform them. "Athenian tragedy—the oldest surviving form of tragedy—is a type of dance-drama that formed an important part of the theatrical culture of the city-state." (Tragedy, Wikipedia) Their goal was catharsis, or trying to evoke strong emotions in the audience. As time went on, the type of tragedy changed, but the core of tragedy stayed the same. ​Roman tragedy took the tragedies of the greeks and adapted them to be their own. The most famous of all of the Roman Tragedy writers was Seneca. “They dwell on detailed accounts of horrible deeds and contain long reflective soliloquies.” (Tragedy, Wikipedia) During the Renaissance, Tragedies by Aristotle were popular, and the models left by the Greeks would become very important. From there, tragedies evolved into the Shakespearean versions that I am already familiar with. However, as the tragedies continue to grow, they still focus on some form of human suffering and try to evoke emotions in their audience just as they did during the time of the ancient Greeks.